Immunocompromised persons are the most vulnerable population at risk for developing life-threatening clinical syndromes associated with strongyloidiasis, such as hyperinfection syndrome (HS) or dissemination. 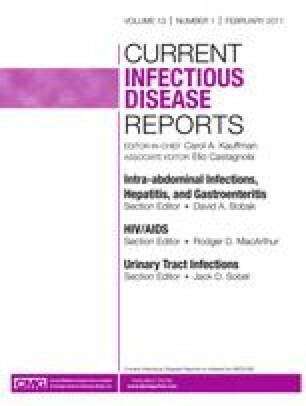 This review focuses on describing Strongyloides infection in the immunocompromised host, including immune response against this infection, analyzing the cases with HS published during the past 4 years in the United States, and describing the most sensitive diagnostic tools and the most effective treatment for each clinical syndrome. Strongyloidiasis is becoming an important parasitic disease in the United States, especially in the immunocompromised immigrant population. Because the transplant population is particularly at risk for developing HS, both recipients and donors should be screened for Strongyloides. Clinicians should also be aware that the development of HS can follow unexpectedly a few days after appropriate anthelminthic therapy. Highly sensitive screening tests are still not available in the major tertiary medical centers. Parenteral ivermectin has been used in some severe cases. Further therapy developments and improving diagnostic tools are warranted. We would like to acknowledge the outstanding work of the staff including Dr. Raul Tello, Marco Canales, Carmen Quijano, and Matilde Quijano at the Laboratory Parasitology, Institute of Tropical Medicine Alexander von Humboldt, Universidad Peruana Cayetano Heredia, Lima, Peru. Conflicts of interest: L. Marcos—none; A. Terashima—none; M. Canales —none; E. Gotuzzo—grant support from Merck.